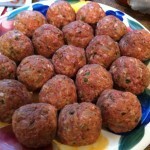 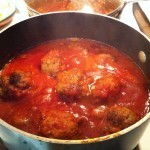 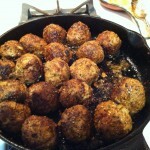 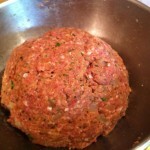 I've been trying to perfect my mom's meatball recipe, as I remember it, and add a few tweaks to make them spicy! 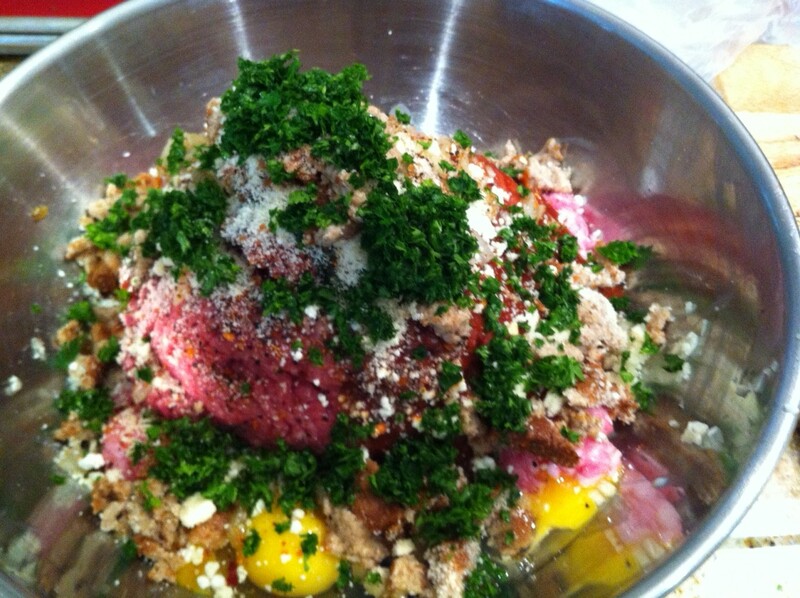 Combine: Veal, Beef, Eggs, garlics, parsley, goat cheese, Romano cheese and Spicy Montreal Steak seasoning in a bowl. 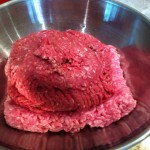 Put the two slices of bread in a bowl with enough milk to get them soggy - squeeze out the excess milk and break up the wet bread slices into the meat combo. 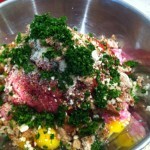 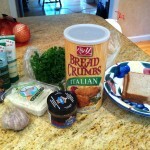 Put enough bread crumb to cover the meat mixture to start, you can add more later when you start mixing it together. 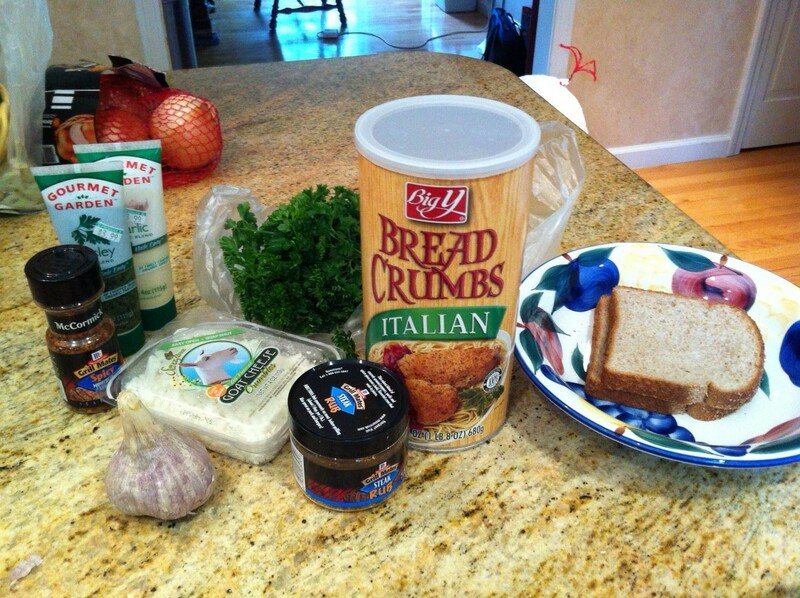 If the mixture is too loose, go ahead and add a little more breadcrumb - but don't put too much... a little at a time, until the mixture feels right. 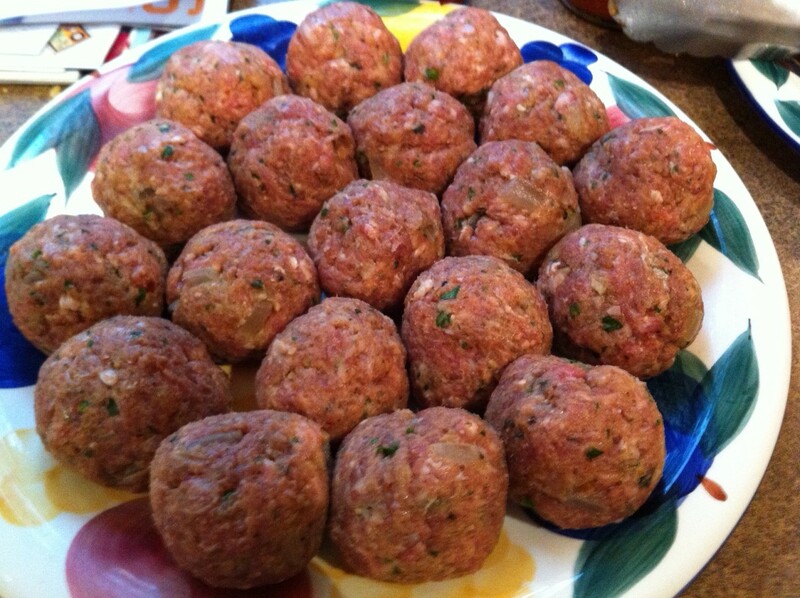 Use a scoop or a tablespoon to make equal portions and roll them into balls - put them aside for the next step! 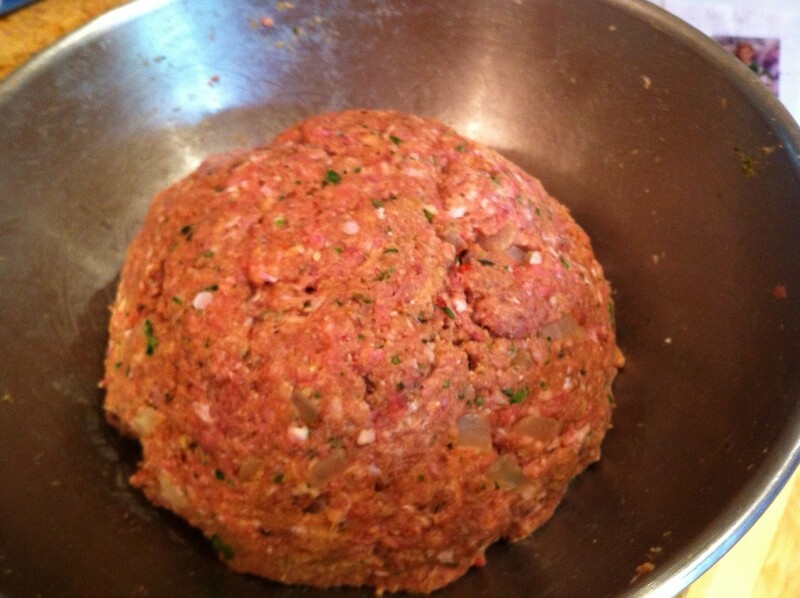 Put some of the Steak Rub on a plate, and right before putting the meatballs into the frying pan, roll them in the Steak Rub to completely coat them. 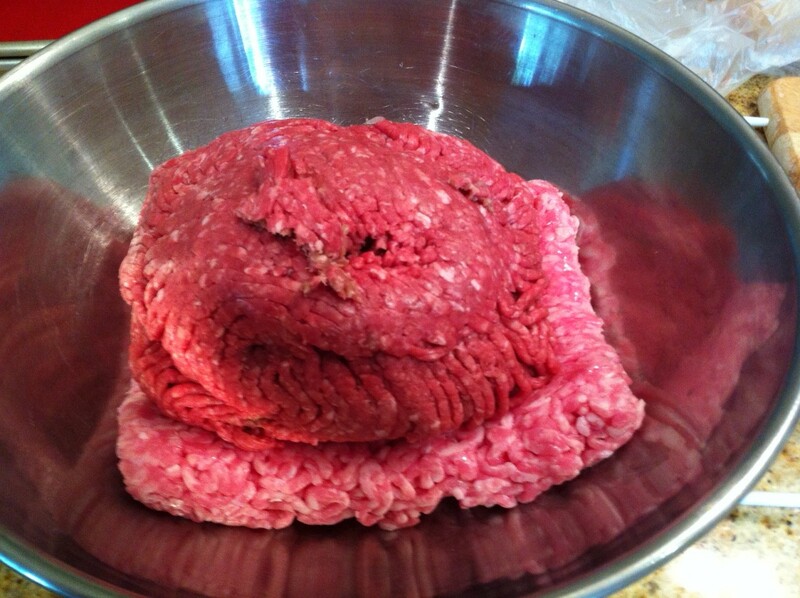 Fry them up, so they get a nice crust all around. 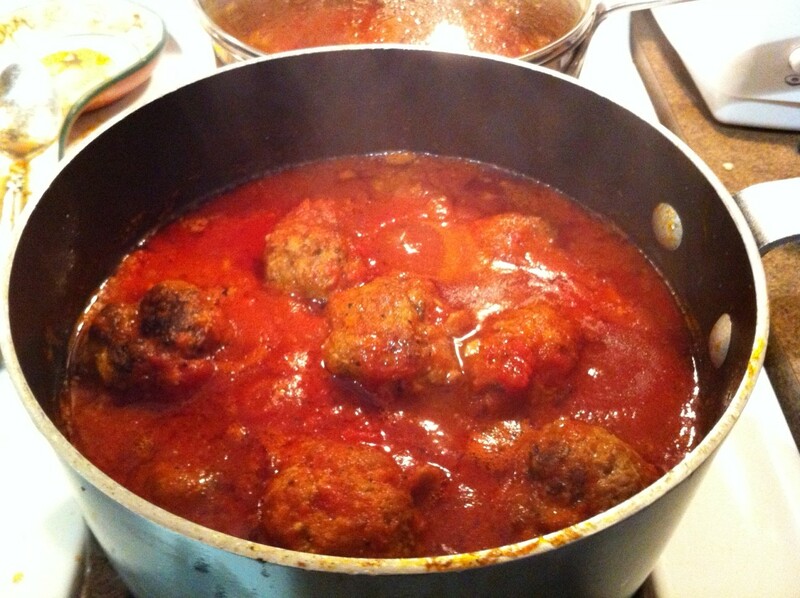 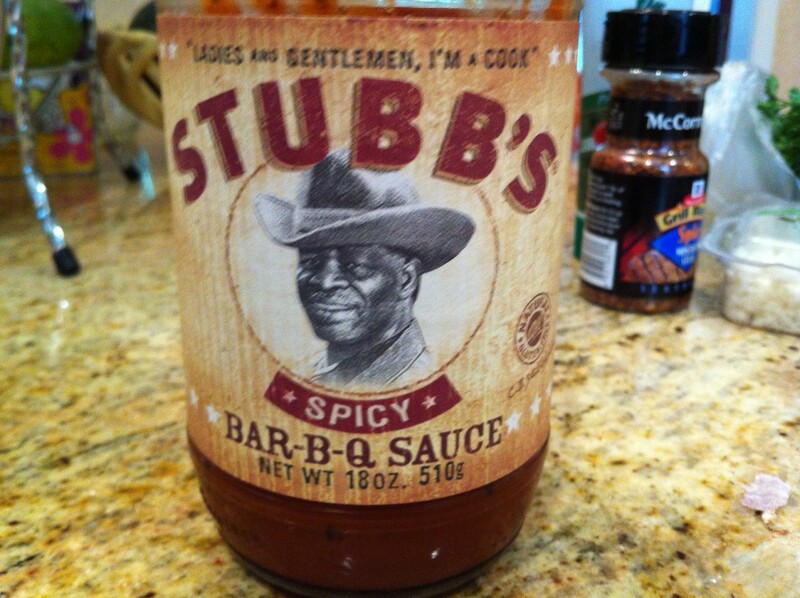 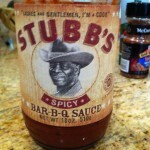 Put the fried meatballs into sauce - your choice... I used 1 jar of Tuttorusso Traditional with 1 can of crushed tomatoes... let cook for at least 1/2 to 1 hour. 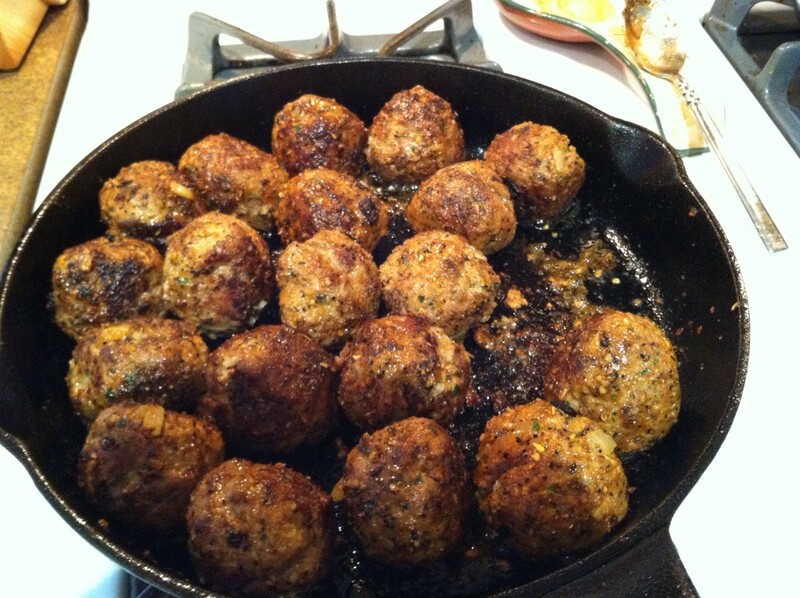 Super easy, and super delicious... the extra spice makes a nice crust on the meatballs, and winds up making a really nice sauce too!